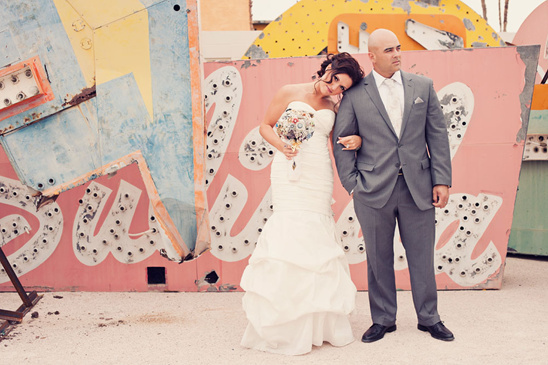 The Neon Boneyard was the ideal backdrop for White Haute Photography to capture Diandra Ann and Javier's love. 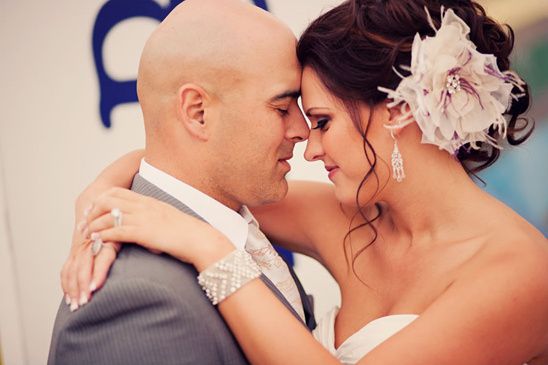 Javier literally came home from Afghanistan a week before the wedding and returned to duty immediately after the wedding. 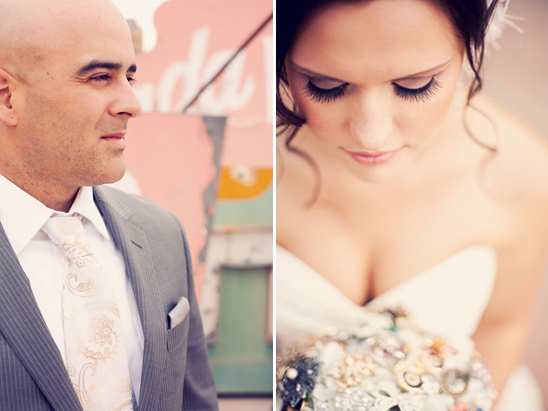 We love that the bride, Diandra, solicited broaches from friends, family to create her unique brooch bouquet. 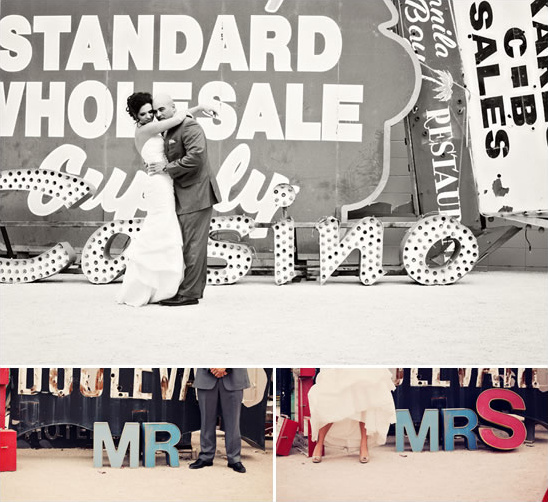 After dozens came in, she was able to put together this incredibly beautiful, unique and oh so heavy work of art. 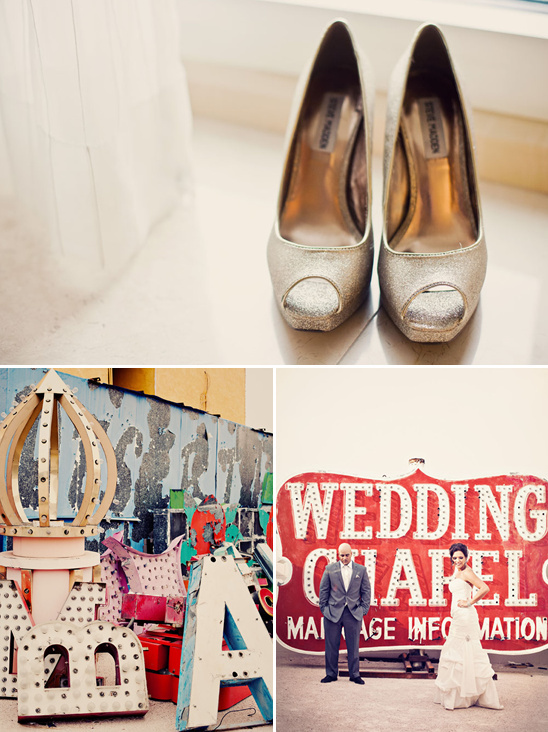 Enjoy the entire wedding gallery by clicking here.